This week we go totally off the rails with Big Debo from My Black Friend! 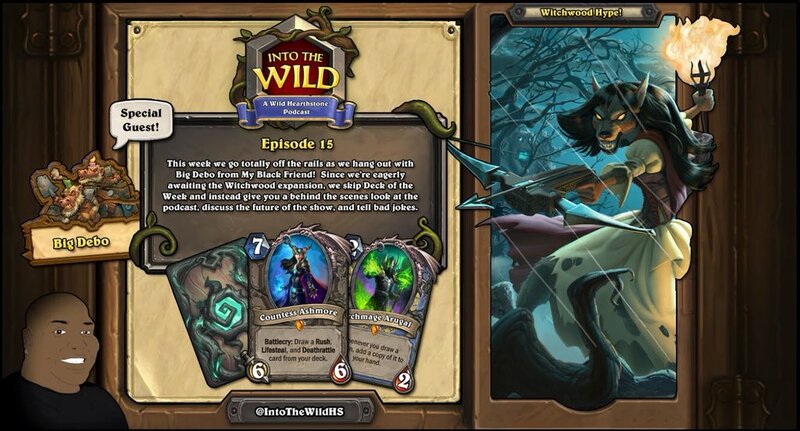 Eagerly awaiting the Witchwood expansion, we skip deck of the week and instead pull the curtain back and talk about the show itself.. and tonnes jokes and rants with a little hearthstone sprinkled in. Don’t worry though, we have a full in depth set review coming a later this week! NOW LET’S GET WILD!